We are collecting food to give to the Trussell Trust food bank during Lent. There is a box in the vestibule for all donations. All canned fruit, meat and fish welcome. Also toiletries and dried goods and long life fruit juice or squash. Later in April the Rt Rev Susan Brown will be joining with volunteers, staff and people that Crossreach support to walk around Edinburgh on the Recovery Walk. 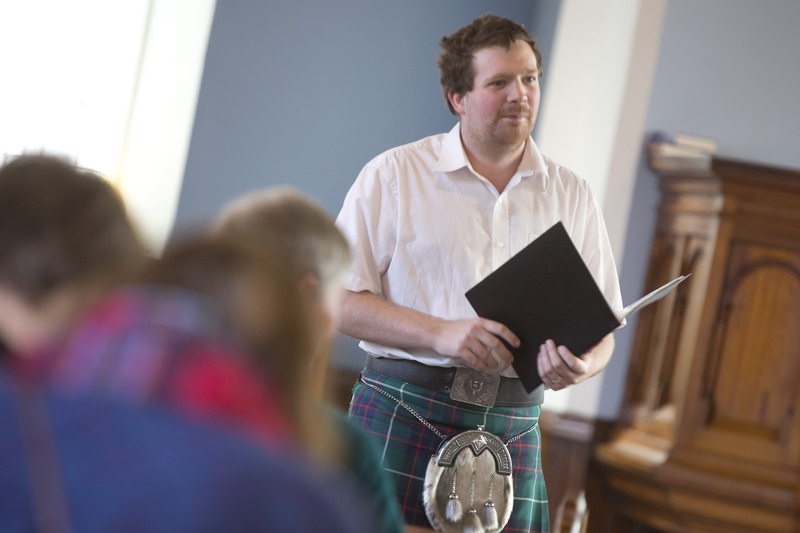 Look for updates on the Church of Scotland Media channels and website. The General Assembly is the most significant annual event in the Church of Scotland calendar. Throughout the week, commissioners to the General Assembly examine its work and laws and make decisions that affect the future of the Church. The 2019 General Assembly will be held in the General Assembly Hall on the Mound in Edinburgh. It opens on Saturday 18 May and closes on Friday 24 May. The public gallery will be open for members of the public who wish to watch the Assembly. In May we will hold the first of our four ‘stewardship seasons’ which will run throughout 2019 and 2020 as we consider what we have and how we can use what we have been given in God’s service. Giving of ourselves is part of the commitment we make when we join the church and these four ‘seasons’ will give us an opportunity to reassess and rededicate our lives. After the successes of last year the Craft group is back on a Wednesday morning. Everyone is welcome to come. The crafters will be sewing, knitting and helping each other. Feel free to drop in any Wednesday morning between 10.30 and 12.30. Tea and coffee provided. Some of the poppies on display for the Remembrance Sunday service. Bring any stamps to us and we will send them to the Church of Scotland stamp appeal. Whether you are a visitor from around the world, have moved to live in the area, work locally, are on holiday or just want to experience a different form of worship – we are pleased to welcome you. We hope you will enjoy your time in our Sanctuary and be able to stay awhile as we share fellowship together after morning worship with tea, coffee and occasional lunches. The Sacrament of Holy Communion is held three times a year usually in February, June and October. Our next Communion is Sunday 11th February. Additional services of Holy Communion are held on Maundy Thursday evening at 7p.m and on Easter Day. Family Services are held four times a year when children are the focal point of our interactive services. All young people, not only those baptised here, are very welcome. Our Kirk in Newcastle upon Tyne is linked with St Columba’s, Pont Street, London and the Minister of the linked charge is Rev Angus McLeod and our local Minister is Rev Dorothy Lunn. On Sunday 17th December the Church was full of presents and food parcels which went to the East End Food Bank on Brinkburn Street. Some of the presents which were made by the Wednesday craft group to go to the children helped by the food bank. The Sunday Service was a Family friendly service and is one of 4 special services for all ages which are held throughout the year. The children all joined in acting out the Nativity Story and the service was lead by our Minister Rev.C Angus Macleod who was visiting us from our linked charge in London. The Moderator asked for Church of Scotland members to back the Sleep in the Park event. Janet Thomas from Newcastle and her sister Susan from St Fillans in Aberdour answered the call and spent a cold night sleeping in Princess St. Gardens at the beginning of Dec. They raised over £1200 for Social Bite. The Moderator came on the night and they had a photo taken with him at 1am!. ‘Word of Life’ is the broad theme of the 2017 General Assembly which started on May 20, and the Heart and Soul Festival, being held on May 21. The ‘Word of Life’ campaign celebrates this chosen theme by asking members to gather a group of people to each hold up the phrase in a location within their community, take a photo and share on social media using the hashtag #WordOfLife. The young, and young at heart, members of the congregation celebrate the #WordOfLife in our Church Community Garden which serves the Sandyford area of the city. 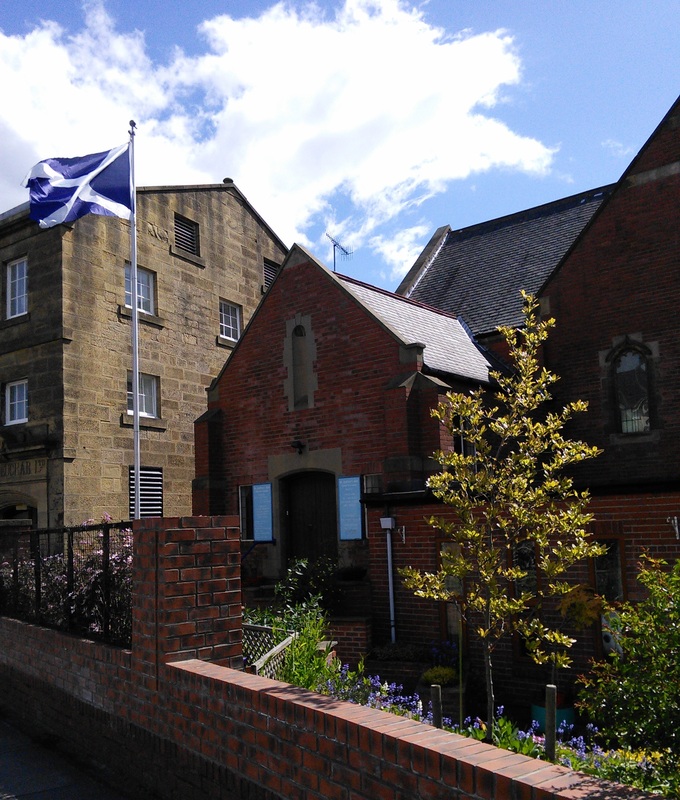 St Andrew’s is the only Church of Scotland in the North East of England. Jane Farr, an Elder from St Andrew’s Kirk Newcastle, represented the Church of Scotland at a recent ceremony in Durham to commemorate those Scottish soldiers who were captured at the Battle of Dunbar in 1650, marched south, imprisoned and died in the City. Their remains were discovered in 2013 and will eventually be re-interred in a local graveyard. Members of all ages helped us celebrate Harvest at the end of September. A Harvest Supper on Saturday evening was followed by our Harvest Family Service on Sunday 25 September. 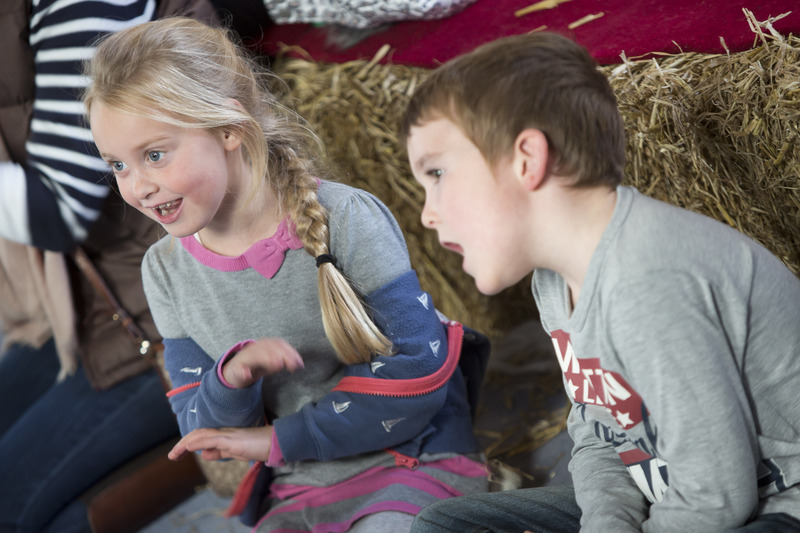 Food for thought was a key element on Saturday with delicious offerings to eat and a fun family quiz and activities to feed the mind. Highlights were the Macaroni cheese and fruit crumble as well as the ‘guess the flavour of the crisp’ round. Our service the next morning was action packed with our young ones helping to complete the splendid Harvest decorations by hanging spice scented dough ornaments on our Harvest tree. 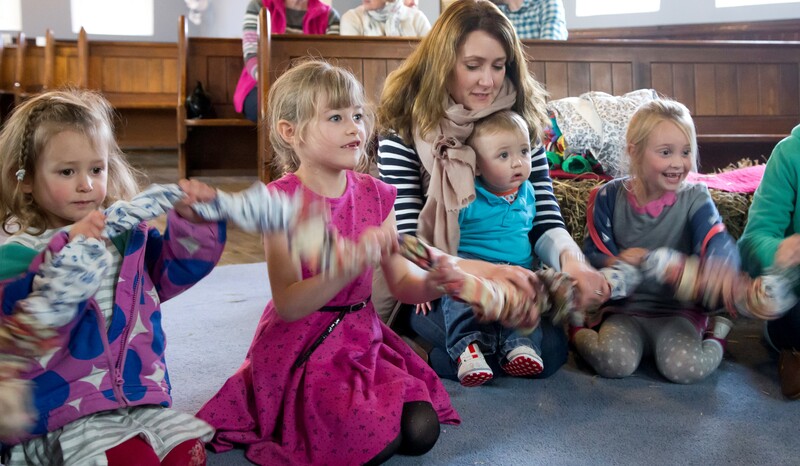 They were kept busy with home made musical instruments and Harvest worksheets before taking all the food offerings to the front of the church for distribution to King’s Church food bank in Byker. Many thanks to all contributed. All set for the `wee ones`! Our crèche area at the rear of our Church is starting to take shape and we look forward to welcoming worshippers of all ages throughout the summer. Loading the car to take our offering to the People’s Kitchen. The second part of our ALIVE and KIRKing programme will start in July. Following our inspiring outreach event last October, which has now been shortlisted for an award (see below), our ALIVE and KIRKing Conversation focuses on our members and supporters. We plan to visit throughout July and August to get to know our members better and invite them to some special events. Our Visitors were commissioned at a special event in the Kirk on Wednesday 22 June and members will receive letters in the next few weeks to explain how they can help shape the future of St Andrew’s Kirk. ALIVE and KIRKing has been shortlisted for a Chartered Institute of Public Relations Award. We are one of three to go forward to the NE England awards ceremony in December in the Not for Profit Category. Find out what we did by looking at our ALIVE and KIRKing section. Our Community Garden is coming into its Summer colour and with the new railings almost complete, the biggest challenge now is the greenfly. Don’t forget – our garden is there for residents and workers to enjoy a breather. Cyril tackles the greenfly with diluted washing up liquid but if anyone has any spare ladybirds! As part of our commitment to safeguarding children and vulnerable adults, St Andrew’s Kirk has just held a very successful training session with Sheena Clark, our Presbytery Safeguarding Trainer, and 18 of our members who are involved in children’s activities and home visiting. Ian Britton records one of our pipers for Premier Radio. 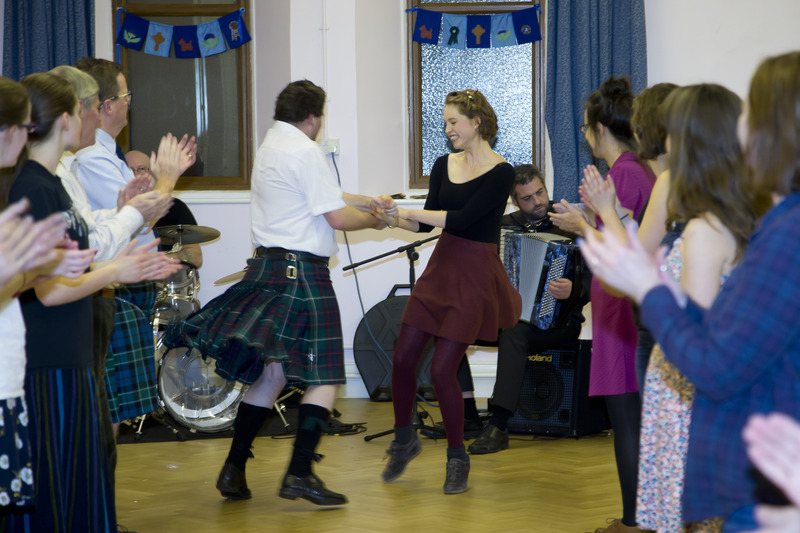 Following last October’s music festival at St Andrew’s Kirk in Newcastle, the organisers expected some renewed interest from members and locals; what they hadn’t expected was interest from around the world. Analysis of the church website www.standrewskirknewcastle.org shows the number of visitors to the site in 2015, as expected, peaked in October with 737. “We achieved a lot of media coverage in October in the run up to our ALIVE and KIRKing music festival so fully expected more people than usual to visit our website. What we didn’t expect was where the interest came from. “Since the event our website has had around 100 views from USA and Brazil alone, as well every other continent. Since October, the countries from where people viewed the St Andrew’s website were: Australia, Colombia, Croatia, Germany, India, Italy, Ireland, Netherlands, Philippines, Portugal, South Africa, Spain, Sweden, Thailand, United Arab Emirates and Venezuela. Go to our News from Newcastle section to find out more about what we get up to.